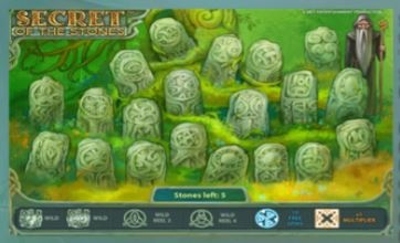 Secret of the Stones is a popular Net Entertainment video slot that’s uniquely themed, featuring around Stonehenge, the mysterious stone-circle in the UK that’s baffled historians and experts for years. While the stone structure itself may cause great confusion, thankfully, Net Entertainment’s slot is a little easier to understand… and it’s built using the ever-popular 5-reel, 25-pay line layout that’s become so common with Net Entertainment’s games, today. The game’s somewhat simplistic in terms of its design, and you’ll see the background and reels designed with a stone-like look. The buttons also encompass this same stone look, and while it really is kind of bland, it does set the scene pretty well. You’ll see a variety of symbols on the reels, with low-paying playing card symbols, which includes 10, J, Q, K, and A carved out of stone, and the high-paying symbols including various animals, again, carved in stone. These animals include a Deer, an Owl, a Snake, and a Bull, and the Wild Symbol is – well, we assume some type of sorcerer – but in reality… well… Gandalf. 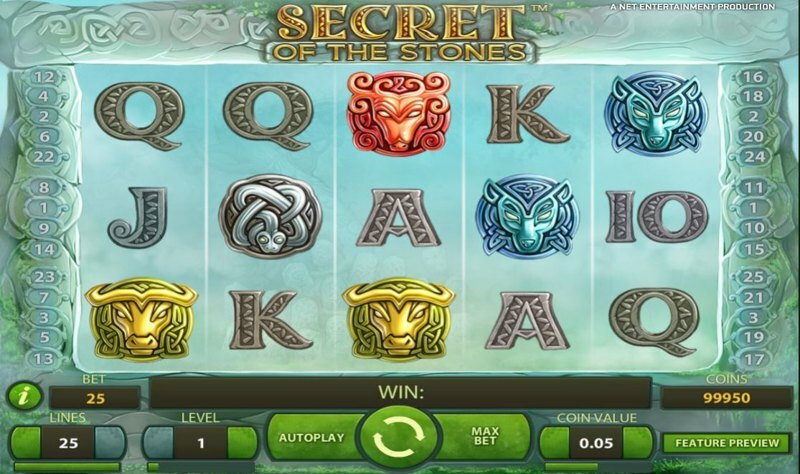 Secret of the Stones is all about the free-spins bonus, and in order to trigger this you’ll need to land three, four, or five of the scatter symbols anywhere in view. The scatter symbols are very large symbols, and depict a huge golden oak tree, on a purple backdrop. 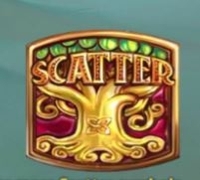 If you land three scatter symbols, you’ll be rewarded with 10 free-spins, and three “picks” – more on that in just a moment – if you land four, you’ll still receive 10 free-spins, but you’ll get four “picks” … and if you can land all five, you’ll get the same 10 free-spins, but five “picks” – and that’s really important because the picks are a huge part of the game. Now, before the free-spins begin, you’ll be taken to a screen where there’s over 20 stones. You simply pick as many stones as you’ve won (3, 4, or 5), and once you’ve picked, the free-spins will begin. Extra Spins – If you pick an extra spins stone, you’ll receive either 2, 3, 4, 5, or 10 free-spins, on top of the 10 you already begin with. Wild Deer – If you pick the Wild Deer, the Deer symbol will be wild for the duration of the free-spins, substituting for all other symbols. Wild Owl – Again, like the Deer, pick the Wild Owl, and you’ll enjoy the Owl symbol as a wild for the duration of the free-spins. Multipliers – There’s a 1X, and a 2X multiplier up for grabs under the stones, and it’s as simple as it sounds – pick one of these, and you’ll enjoy the picked multiplier on every win during the bonus-round. Wild Reels – By far the most sought-after picks, there’s one stone that houses a Wild Reel 2, and one stone that houses a Wild Reel 4. Pick either or, and you’ll enjoy that reel staying wild for the entire duration of the free-spins. (If you manage to get both wild reels, you’re in for a huge win – and it’s not uncommon to see 500X + with the perfect setup of two wild reels, and one of the animal wilds). While you can’t re-trigger the free-spins, it’s a pretty generous bonus at times, although it can be tough to land – so be prepared for a higher-variance Net Entertainment slot than you may be used to.